Plague and the Moonflower draws us inside a world uneasy with itself, trembling on the brink of the millennium and haunted by muddled dreams and sombre fears. All around, there is evidence of rivers and oceans soured, lands blighted and a creation sapped and tainted by the Plague Demon, the dark and grasping side of man’s flawed nature. As the Plague Demon turns his attention to the lush, fragile forests of the Amazon, Nature’s last refuge from human greed and lust for progress, a transformation occurs. Suddenly, unexpectedly, he sees and falls in love with the Moonflower, the strange, magical cactus that flowers just once a year, drawn into bloom by the moonlight. The beautiful, frail plant survives in the deep rainforest - a powerful icon of purity and love, but ambiguous too, for it is a parasite, stealing its strength from other plants. The Plague Demon changes his tune, redeemed by love, and the ethereal song of the Moonflower soars away in an ecstasy of life, a miracle of resilience and mystery. A corner has been turned. As the pulse of life reasserts itself, the Chorale looks forward to a better future, free from fear and oppression. Drawing on memories of pure and ancient dreams, it leads on to a dramatic climax in which the millennium marks a critical moment and a chance to rebuild spoilt lives and reshape Man’s place in the world. 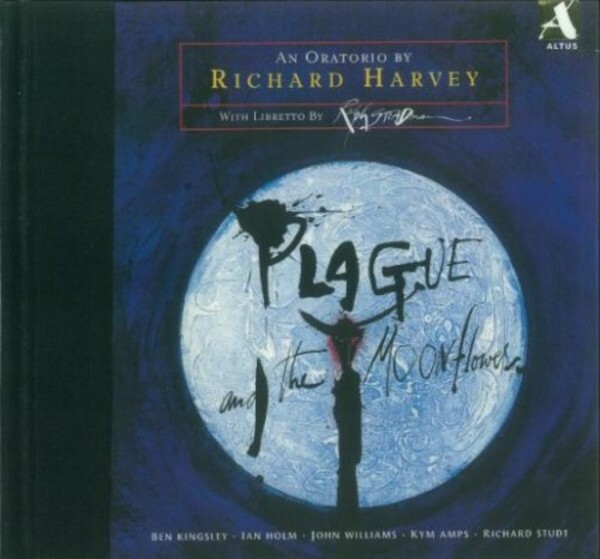 Plague and the Moonflower was commissioned by Richard Gregson-Williams in 1989 for the Exeter Festival. The libretto was written by Ralph Steadman.